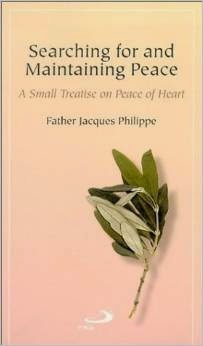 This small 118-page paperback is jam-packed with great insights on achieving interior peace. I think that many people get really stressed out this time of year from their time after boxing week shopping in busy malls/parking lots, travelling, with bills coming in from Christmas shopping, and from family gatherings that may have brought up old wounds. This book was recommended to me by a friend who said that it was the best book he ever read. With such high praise, I told my friend that I would read it eventually, but that I had a couple other books on my 'to read' list that was ahead of it. He bought me the book and hand delivered it to me four days later. I was stunned how persistent and generous he was so I put everything else that I was reading aside and started reading Philippe's gem. Why not start off the New Year in peace?